With the holiday sales boom behind us, retailers are being creative with post-Christmas sales in 2015. Most stores are offering deep discounts and perhaps device charging kiosks to kick off the all-important after-Christmas shopping season. The after Christmas shopping season is a busy one with returns, exchanges, gift card sales and using that cold hard cash you received for a Christmas present. Retailers are digging deep to drive sales. To entice shoppers to bring in their gift cards, help clear out inventory and buy in their stores, retailers are digging deep. They are offering extended hours, attractive savings, layaway plans and very appealing amenities like device charging kiosks. 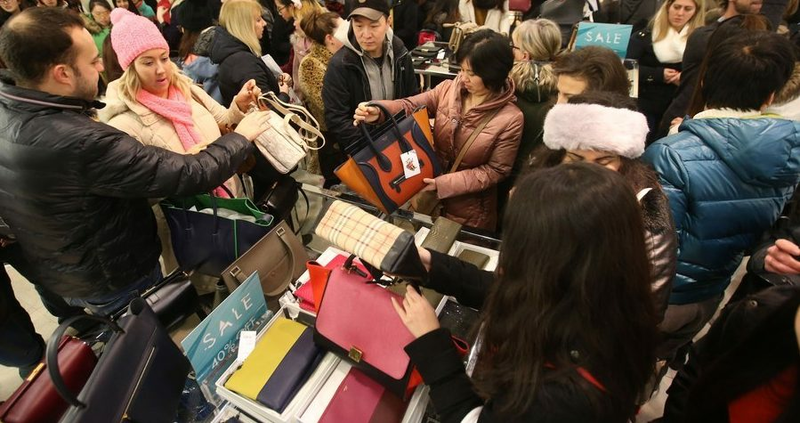 This year’s Christmas shopping season was largely a disappointment according to Forbes. Stores are hoping to draw in some extra revenue before the end of the calendar year. Retailers are hustling to meet even soft forecasts for the holiday shopping season this year after the “Super Saturday” before Christmas failed to live up to its nickname, industry research groups said. The last Saturday before Christmas often sets the annual record for retail sales, vying with Thanksgiving weekend’s Black Friday. In recent years, last-minute shopping has determined the success of the season, and a relatively weak final weekend bodes poorly for retailers. Super Saturday weekend sales were aggressive. This year Super Saturday weekend sales in stores and online rose 4 percent to $55 billion, after a 2.5 percent gain last year, according to retail consultancy and private-equity fund Customer Growth Partners. That puts overall store and online sales from the start of November through Dec. 22 on track to rise 3.1 percent, below the 3.2 percent pace the firm forecast and down from 4.1 percent growth in the same period last year. Best-sellers during the holiday season have included toys and home improvement items like appliances, tools, furnishings and home decor. And of course this year was the very controversial hoverboard – which is it a favorite in the Veloxity office. But, apparel sales plummeted as warm weather hurt sales of winter clothing and discounts on electronics hurt retail margins, even as sales volumes in the category remained robust. Aeropostale: Get an extra 30 percent off clearance items online with code EXTRA30 through Jan. 6, 11:59 p.m. ET. Calvin Klein: Save an extra 35 percent off sitewide through Christmas Day 11:59 p.m. PT with code DECEMBER35. Carter’s: Take 20 percent off your purchase of $40 or more through Dec. 31. excluding clearance items or doorbusters, as posted by RetailMeNot. Express: Get 50 percent off everything in stores and online through Dec. 27, excluding Express Edition collection, Express One Eleven, gift cards and some other items. Foot Locker: Get 15 percent off online purchases of $70 or more with code LKS15D5T or 10 percent off online orders over $50 with code LKS15D5N. Free shipping online on orders over $75 with code IPFL2R52. Hollister: Through Dec. 28 in Hollister Co. stores and online at HollisterCo.com, get 40 to 60 percent the entire store. Restoration Hardware: Save 25 to 75 percent off everything in stock through Jan. 5. Ask for a device charging kiosk. There’s nothing worse than running errands or shopping and having a dead mobile device battery. Many retailers have device charging kiosks to keep customers charged and happy. If you are shopping and need a charge, ask for a store manager and suggest a device charging kiosk. Companies like Veloxity rent and sell device charging kiosks to retail shops, events and organizations nationwide.